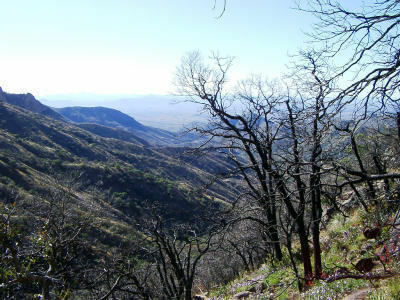 Baboquivari: Hike to Lions Ledge is a 4.2 mile out and back trail located near Topawa, Arizona that offers scenic views and is rated as difficult. 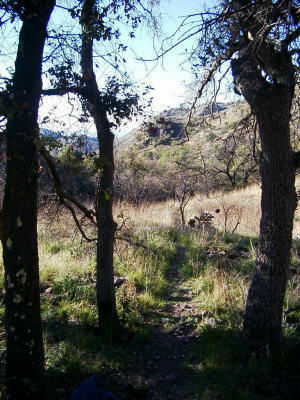 The trail is primarily used for hiking and is best used from March until May. Dogs are also able to use this trail. Dramatic and Scenic landscapes, solitude and splendid view of mountain peak The hike begins on a dirt road, that leads past an occupied ranch house, and into a stream bed. Once you come to the stream bed, begin to look for a trail marker. Once you locate the trail marker, continue to follow this trail all the way up the saddle. The trail will cross back and forth the streambed, so make sure you always stay on the trail. 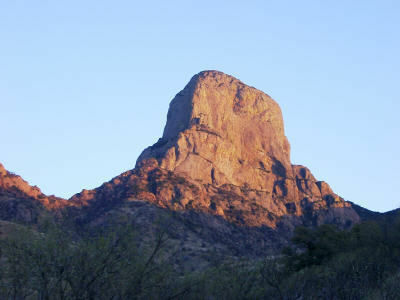 After 2 hours of hiking, you will be on the west side of Baboquivari Peak. The trail will lead you up a gully and on to Lions Ledge. 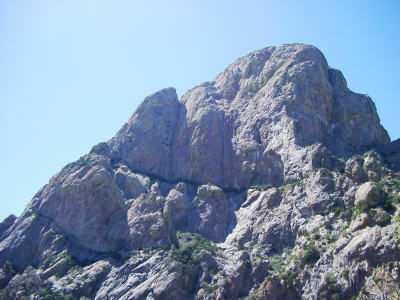 Lions Ledge, is the horizontal tree line, that goes across this enormous rock face. Once your on Lions Ledge, continue to walk South, until you come to a natural spring of water. This is a good turn around point, and bring your water filter to replenish your water supply. The spring usually has water during the spring season. The views are breathtaking and the solitude is perfect. A strenuous hike, but well worth it. From Tucson, head east on I-10 and merge west (right) onto 1-19. Travel on 1-19 until you turn west (right) on Highway 86 (Ajo Way) Stay on Highway 86 until Three Point Junction (Highway 286). At Highway 286 turn South (left) and remain on this road for approx. 28 miles. Take your first right after milepost 16 on to a dirt road. Remain on this road until you get to a fork in the road, and turn right. Continue down dirt road until you get to a gate that is labeled Baboquivari Peak hike. Park your car here. **The dirt road is a private road, that allows access to the trail, so respect the land and property.